Right these new Brompton Pedals,(From Brilliant Bikes) I have to say they are a BIG improvement over the 2009 pedals that I had. I got replacements for both and Bumble B feels alot smoother and more grip. Had abit of trouble with undoing the original pedal as I didn't have a 24mm Bolt socket spanner. Got one for a couple of quid and the old one came off with abit of force. oh btw to screw in the new one you need a pretty big Allen key. Lucky I was able to use the end of my spanner to tighten it so be warned it doesn't come with the pedal. My old folding pedal was crunching alot the last few months so I thought it was time to change it. The new one is alot smoother and feels alot tougher but we shall see in time. 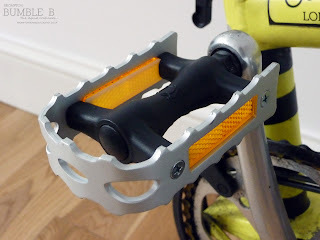 The original Non Folding pedal was basically a piece of crap which broke on me the first 3 months. 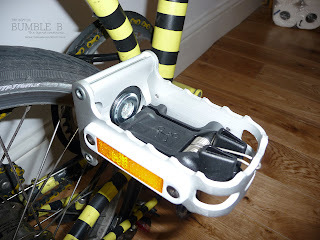 Got cheap replacement pedals when I got free servicing in the 1st yr I had Bumble B. They where just some no name cheap type pedals that also broke. The last one was a more BMX type so was tougher so didn't break. Seeing I was changing te folding one I thought I would get a matching pair. I have to say the build quality is alot better and feels more solid. I have no fear in my shoes or trainers slipping on them which has happened a couple of times in the past. Haven't tested them in the rain yet but I got a feeling these are very much improved from the 2009 versions. Expensive pedals are good for some applications. 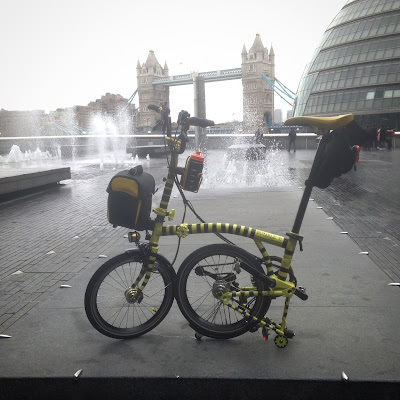 I think the Brompton pedals are just fine! 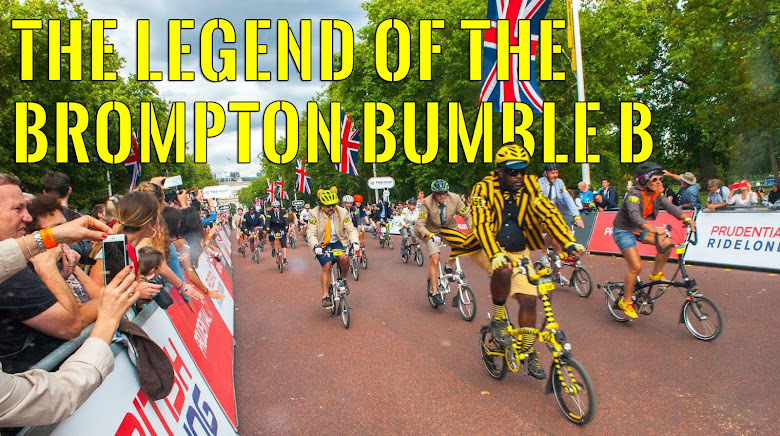 Plus, they are authentic Brompton stuff. How could we pass on it, eh? I always found my folding pedal, clicked all the time and flexed so I replaced it with a 1/2 SPD pedal, obviously making the folded width wider.